North Korea’s missile test last week has extended its range to 13,000 kilometres plus, putting it in touching distance of most countries on the planet. South America is the only entire populated continent that falls outside of Pyongyang’s range, while the mainland United States and Europe appear to be easily within reach, according to calculations by the US-based Center for Strategic and International Studies (CSIS). The Hwasong-15 intercontinental ballistic missile, which Pyongyang claimed to be carrying a “super-large heavy warhead”, was launched on Wednesday (November 29). South Korea’s military said it flew 10 times higher than the International Space Station and twice as high as any satellite in low-earth orbit. 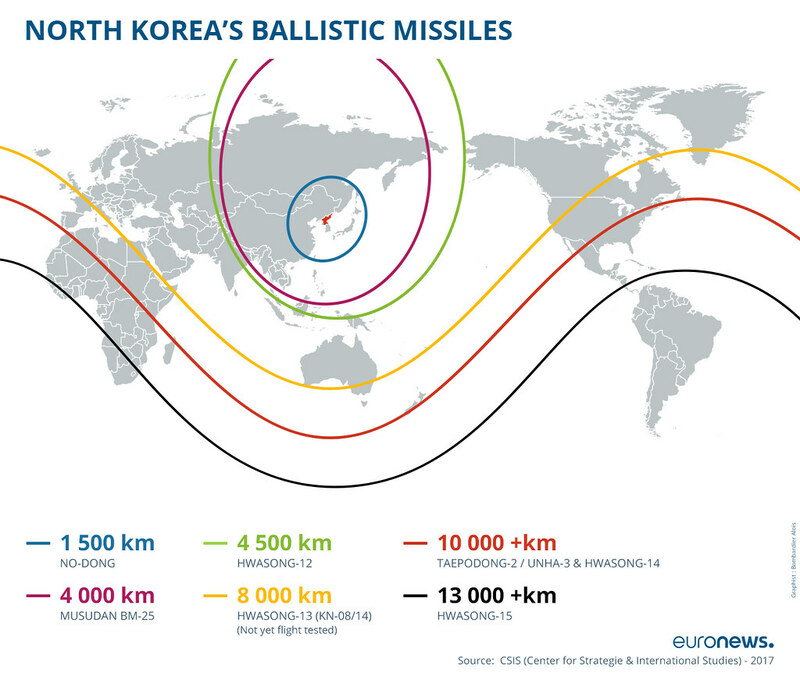 According to CSIS’s calculations, the missile has increased Pyongyang’s reach by 3,000 kilometres compared to the Hwasong-14, which was tested in July. Ian Williams, an associate fellow and associate director in the CSIS International Security Program, told Euronews that the two missiles appear to have “definitively” brought Europe into North Korea’s range this year. 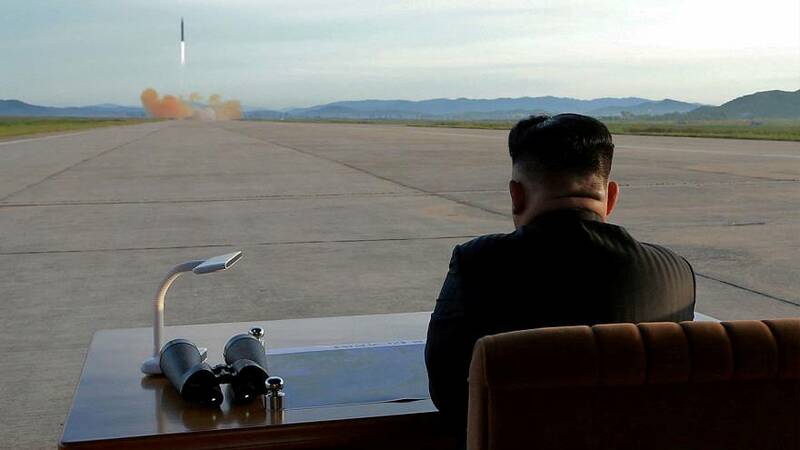 Kim Jong-un’s KN-08 and KN-14 Hwasong-13 missiles were also estimated to have the capacity to reach Europe as of several years ago, but they were never flight tested. While Williams said everywhere in the range of North Korea’s missiles is technically at risk, he noted that it is important to consider political motivations. “If they can hit Europe, they can hit the United States. We are the more likely target,” he explained, citing the US’ relationship with Japan and South Korea, and its military presence in the region. Williams added that he didn’t expect North Korea to try to significantly extend the range of its missiles beyond that of the Hwasong-15. It is more likely that the regime will focus its efforts on improving the fuel, engine and re-entry technology of its weapons, he said.